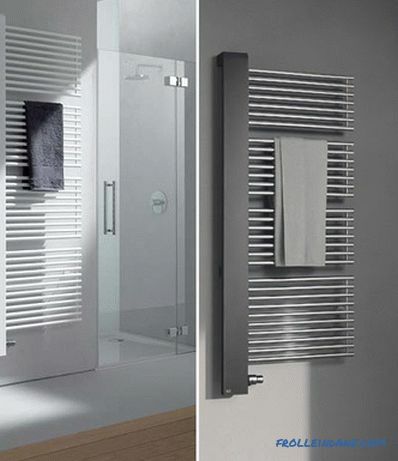 Stylish and modern Kermi radiators. Technical specifications are no worse than the external design. One efficiency of 97% says a lot. And all this is because in these heaters convection is successfully combined with radiation of heat. 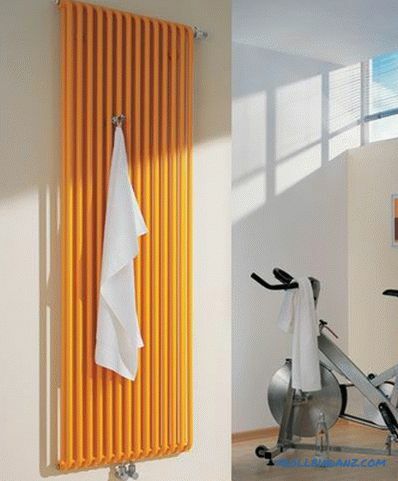 Such a radiator will be appropriate in any interior - and trendy, and classic. And the German quality (these radiators are made in Germany) does not require additional advertising. But the purpose of this article is not advertising, but to provide the characteristics of these heating devices. 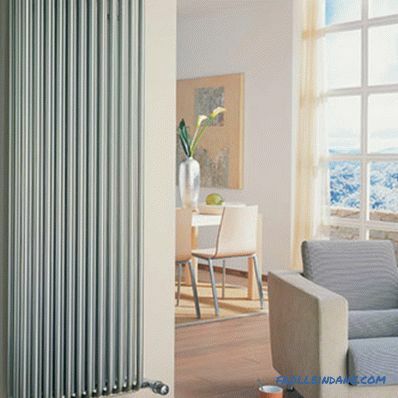 Kermi radiators are steel panel and tubular radiators, with all the advantages and disadvantages that follow from this. 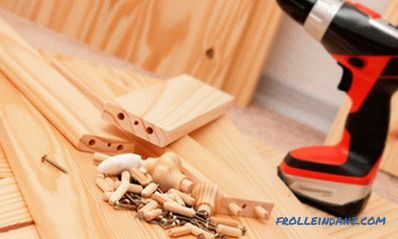 Made according to all European standards, they have a wavy profile surface, differing in low price. 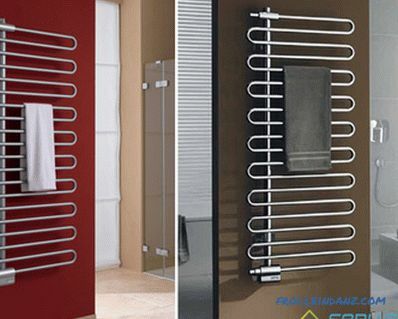 They are suitable only for a closed heating system. 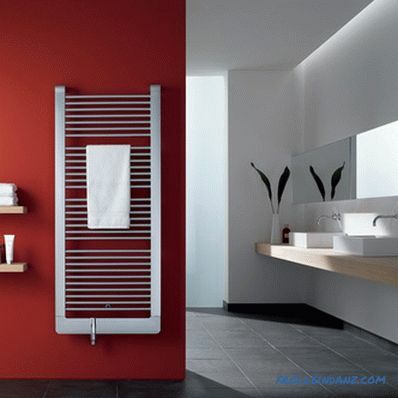 A small amount of hot water, coupled with high heat output, make these devices most suitable for independent heating. Moreover, it is better to use them in systems where the coolant is not excessively hot. 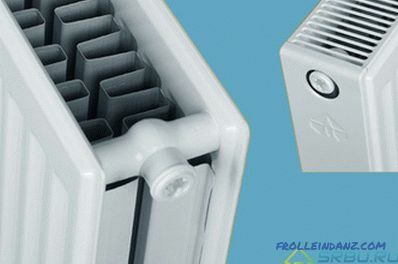 These radiators are made using the latest patented X2 technology, which significantly increases the efficiency of heating appliances. 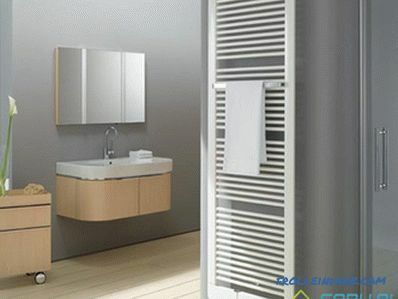 Having doubled the infrared radiation, this technology has made radiators very comfortable. The heating time accelerated by about a quarter, and the savings increased by 11%. The meaning of the principle of X2 is that the front panel is heated in the first place, and only after that - the rear panel. For more on this, see the video below. After connecting the panels into the case, the finished product is first thoroughly degreased, then it is phosphated. Final finishing is done by electrostatic painting. The top coat of paint is processed at a temperature of 180 degrees. This makes it durable. The glossy finish gives the batteries an elegant look. The radiator has screen screens on the top and side. They allow to achieve a significant increase in heat transfer efficiency - by 60%. Included are 4 lining designed for mounting equipment. 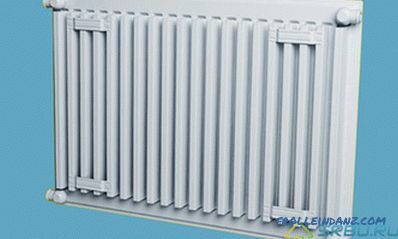 There are 2 lines of Kermi panel radiators, which differ from each other by their connection to the heating network. 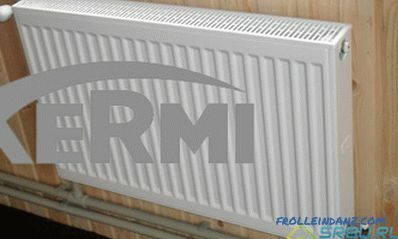 On the side are connected radiators line Kermi ThermX2 Profil-K (FKO). And devices such as Kermi ThermX2 Profil-V (FKV or FTV) are designed for connection from below. 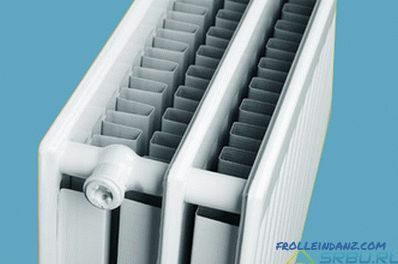 These radiators are equipped with convectors, and their panels are made of two steel sheets of profiled type, connected by welding. There are screens on the sides and a grill-type overhead grill on top. Radiators with a side connection type are marked with the FKO letter combination. To connect to the system on the sides, the Kermi Profil-K FKO has four nozzles with an internal thread (1/2 "diameter). You can connect the radiator to the pipes from any side. 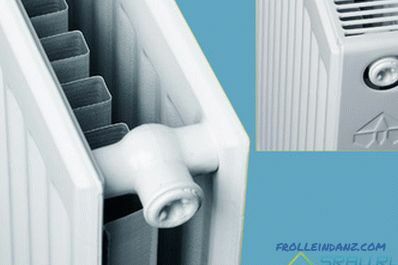 All of these radiators have a thermal valve built into the design. he has a right-sided, in increments of M30x1.5. The temperature regulator is not included in the scope of delivery, it must be purchased separately. The thread at the nozzle is external, its diameter is 3/4 ". The center distance is 5 cm. 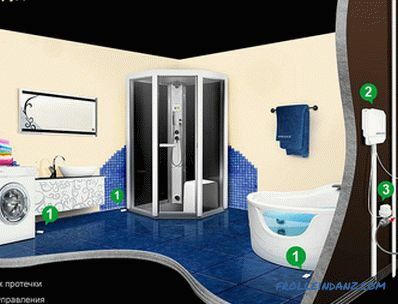 This design is intended for two-pipe heating systems. If you need to connect to a one-pipe system, then get a special valve. Type 10 - single-row, has a depth of 6.1 cm. Facing and convector are absent. It is produced only by pre-order. Type 11 - single row, lined, depth - 6.1 cm. There is one convector. Type 21 is double row lined with a depth of 6.4 cm. One convector. Type 22 - double row, lined. Two convectors. Type 33 - three-row, lined. Three convectors. The most popular and often used type is 22. 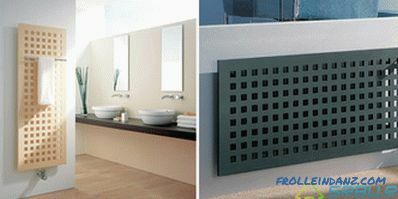 In addition to panel radiators, Kermi also manufactures tubular steel radiators of various sizes and design versions. Such devices not only effectively heat the room, but also serve as an excellent decoration. 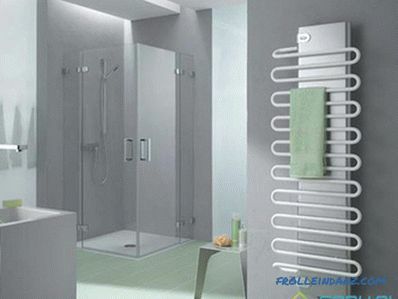 German design radiators are able to satisfy the most demanding customer. 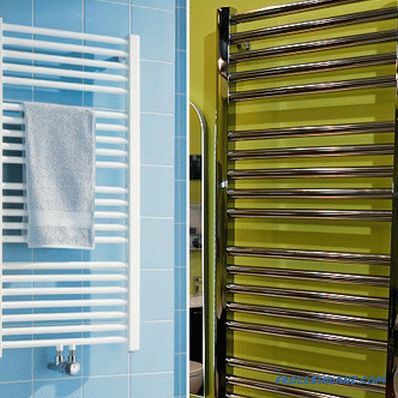 We use them mainly for heating bathrooms, replacing them with simple towel warmers. Water radiators - have a working pressure of up to 10 atmospheres, and pressure testing - up to 13 atmospheres. Heat output ranges from 0.01 to 2 kilowatts. The most productive models can provide space heating up to 20 m 2 . 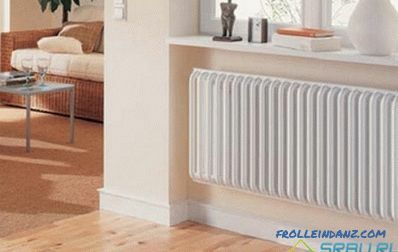 Electric radiators of the type are convenient in that they do not need to change anything radically in the heating system. There will be no unnecessary fussing with pipes, nor with installation and connection to hot water supply. And in the summer, when warm water is sure to be turned off, such an electric radiator can help out. And now we will consider their basic models. Kermi Ideos is sophisticated and sophisticated, impresses with an interesting star shape. Separate elements, harmoniously intertwining with each other, create a single image, gentle and airy. 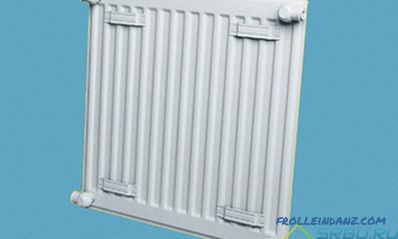 At the same time, the radiator is of the highest quality. Height: for valve execution: 758, 1133, 1508, 1883 mm; for standard execution: 776, 1151, 1526, 1901 mm. Length: 508 and 758 mm. Kermi Fedon is convenient and original. Everything in it is made for comfort of use. 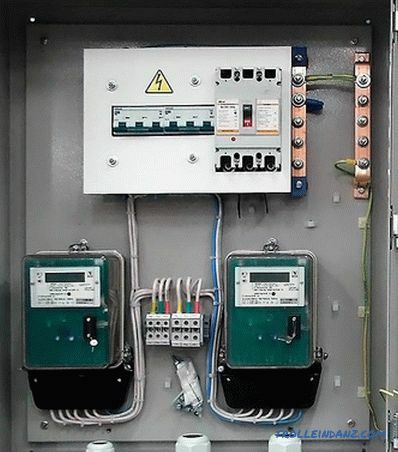 The temperature controller, located at the bottom, is easy to control, and all connections are hidden out of sight. Height: 1048, 1648, 1948 mm. Length: 510 and 691 mm. Kermi Credo-Swing - an interesting design of pipes - their section is triangular in shape. Their light and smooth curves look great. Execution can be both standard, and with the valve. 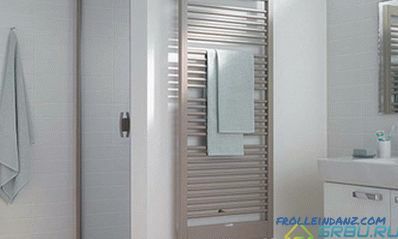 There is a nice bonus in the form of a folding towel rail. Height: the standard version is 878, 1294, 1838 mm. and the version with valve - 987, 1403, 1947 mm. Length 455, 601, 746 mm. Depth 104, 105, 102 mm. Kermi Credo-Duo is strict and modern, keeps pace with the twenty-first century. She has excellent heat dissipation. Height: 1091, 1471, 1889 mm. Length: 471, 621, 771 mm. 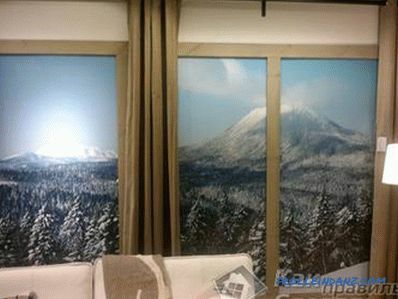 Kermi Credo-Half - with a fashionable shape screen, it is not only beautiful, but also functional. To use it is sheer pleasure. Turned pipes running in the transverse direction, harmoniously combined with the screen. These pipes are strengthened by cute struts that make the product steady. All elements are combined into separate blocks, a gap is made on the side. Height: 1086, 1466 1884 mm. Kermi Credo-Twist - both with and without a valve. This battery is distinguished by a beautiful shape in the form of an oval. The section of thin pipes with a beautiful bend is round. Height: the standard version is 846, 1230, 1854 mm. and the version with valve 955, 1339, 1963 mm. Length 447, 594, 740 mm. Depth 96, 97, 95 mm. Kermi Karotherm - fascinates with its perfectly symmetrical shapes. You can endlessly look at the immaculate squares enclosed in one large square contour. Height: 300 - 2500 mm. Length: 300 - 2500 mm. The light and dynamic model Kermi Jive is not at all symmetrical.And this is its peculiar charm. Despite the apparent ephemeral, heat from her abound. Kermi Icaro is one of the new developments. It is somewhat similar to the previous one, Kermi Jive. Most likely, the same asymmetry, airiness and expressiveness. Kermi Credo are straight lines, strong design and no frills. Cross pipes of fine work cross flat collectors. Height: for the standard version: 1094, 1474, 1892 mm and for the valve version: 1091, 1471, 1889 mm. 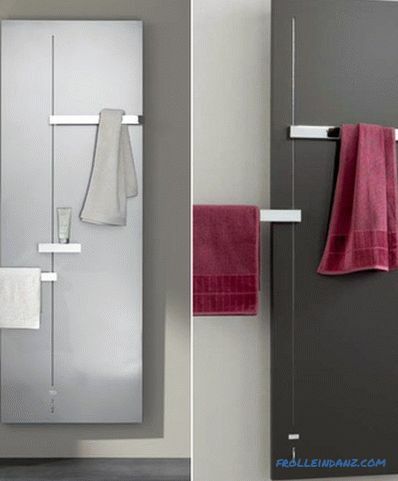 Kermi Credo-Uno - perfect for any bathroom. Fashionable design and strict lines make this battery ultramodern. Height: 789, 1169, 1473, 1777 mm. Length: 490, 640, 790 mm. Kermi Basic 50 - without a single weld, it is distinguished by the excellent quality of beautiful finishes. 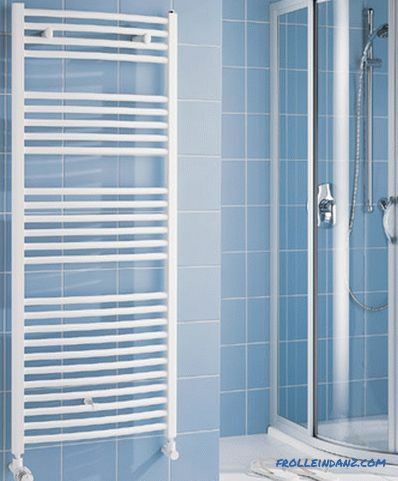 Lines of a clear form look stylish, and pipes are located at such a distance that it is extremely convenient to dry towels. Installation height: 804, 1172, 1448, 1770 mm. Mounting length: 450, 524, 599, 749 mm. Mounting length: 450, 599, 749 mm. Mounting depth: 51, 60, 70 mm. The Kermi B24 is D-shaped. Cross pipes have a smooth and gentle bend. 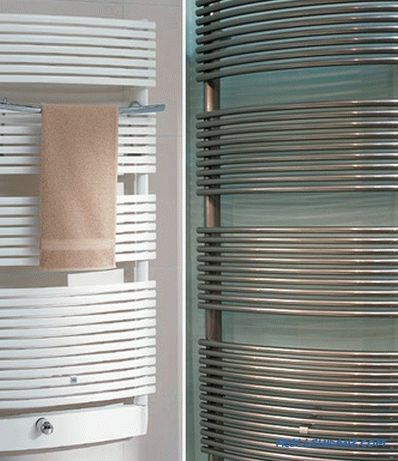 Here, too, it is convenient to dry towels - the distance between tubes is chosen just perfect for this. Installation height: 805 , 1173, 1495, 1771 mm. Mounting length: 440, 490, 540, 590, 740 mm. Installation height: 805, 1173, 1495, 1771 mm. Mounting depth: 49, 55, 53, 68 mm. 1. 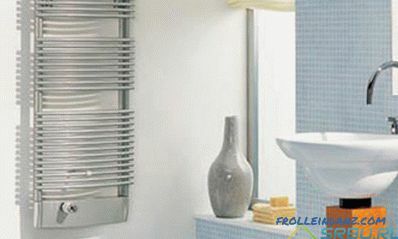 Kermi Decor-V - consists of round tubes. It is fully ready for use - the power level is already set at the factory and the valve fittings are integrated. Possible number of sections: 4, 6, 8, 10, 14, 16, 18, 20, 22, 26, 30, 34, 40, 44, 50, 56, 64. 2. Kermi Decor-S - also made of round tubes. But the design of this battery is amazing. Perhaps, he is able to admire even the most sophisticated consumer with a delicate taste. 3. 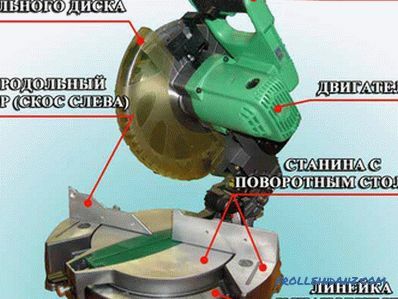 Kermi Decor-D is good because replacing old batteries with it does not require "dancing with a tambourine." After all, it has a distance between the tubes is ideal for DIN batteries. Well, and the most detailed characteristics of the Kermi radiators of your favorite models can be found in the passport.